We love the play of colors in this card, from bright spots of orange in the photos to the green and turquoise stripes and color blocks on the card. All the news that’s fit to print seems to fit perfectly into this card. Congratulations on your beautiful family and cancer-free status. Best wishes for a happy 2015. 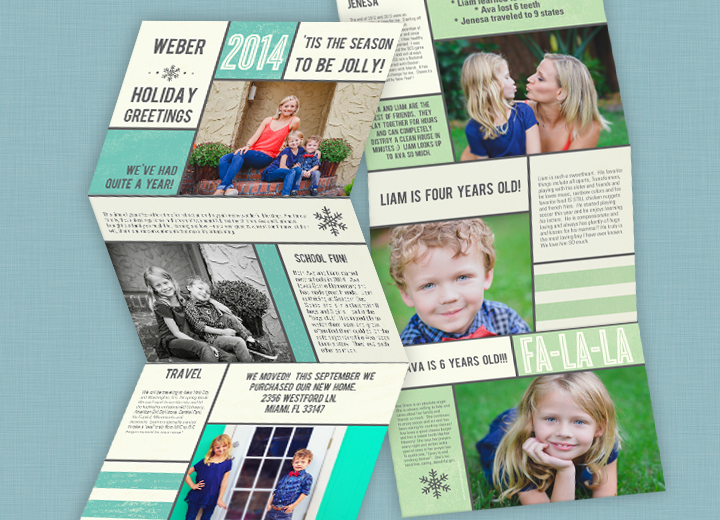 Look for more Featured Favorites and Christmas card ideas from our customers on our blog. Or start personalizing your Christmas cards to share your year with family & friends!